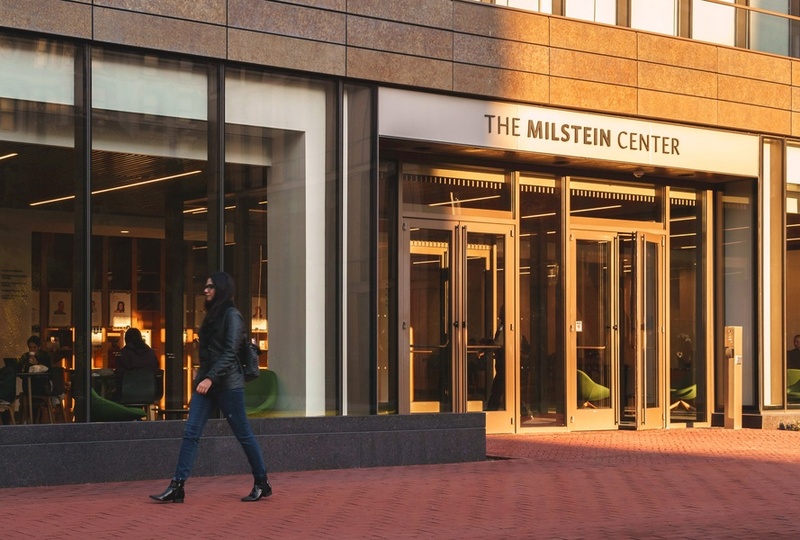 The concept of framing is central to the wayfinding, identification, and donor signage designed for the new Cheryl and Philip Milstein Center for Teaching and Learning at Barnard College. 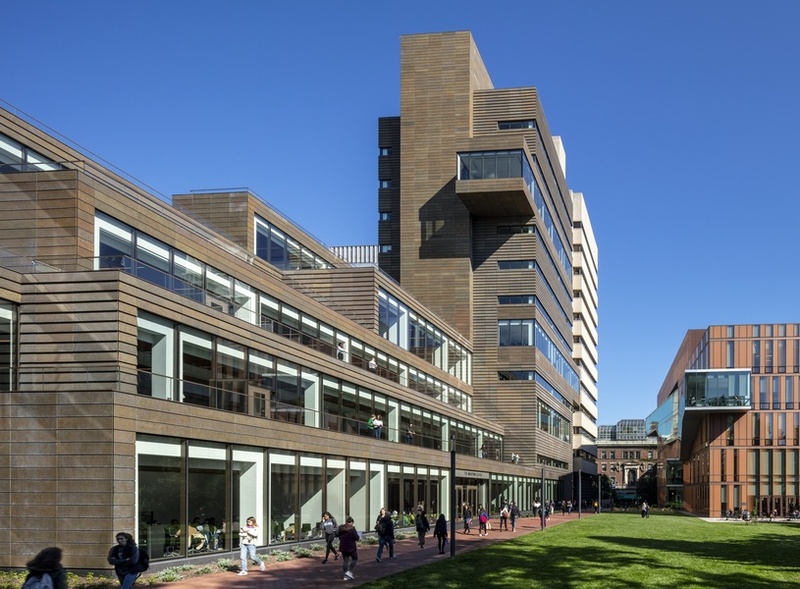 The 128,000-square-foot Milstein Center is an addition to the campus of Barnard, the renowned women’s liberal arts college partnered with Columbia University. 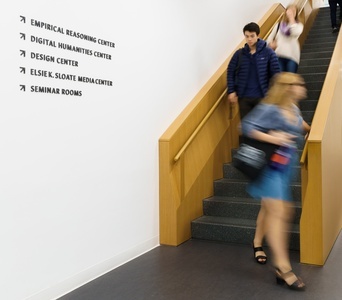 The framing concept can be found in the directional signage throughout the building, allowing for an easily changeable system of signs, with a style that reflects Barnard’s branding and straightforward academic attitude. 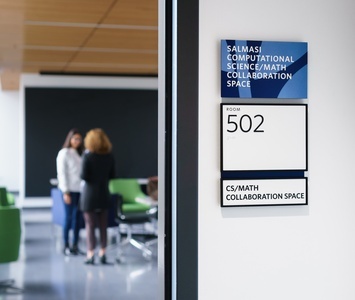 The flexible black framed signs feature white interiors and Barnard blue, like a reflection of the quintessential Barnard student in black-framed eyeglasses, white shirt and blue jeans. 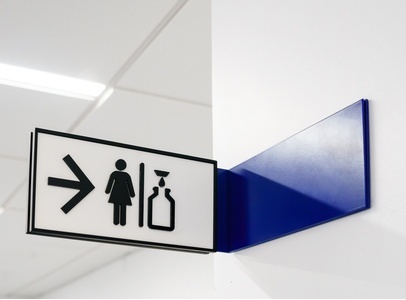 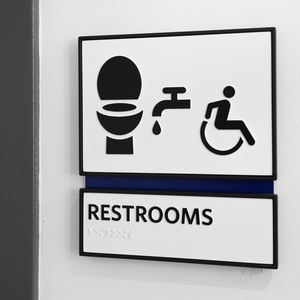 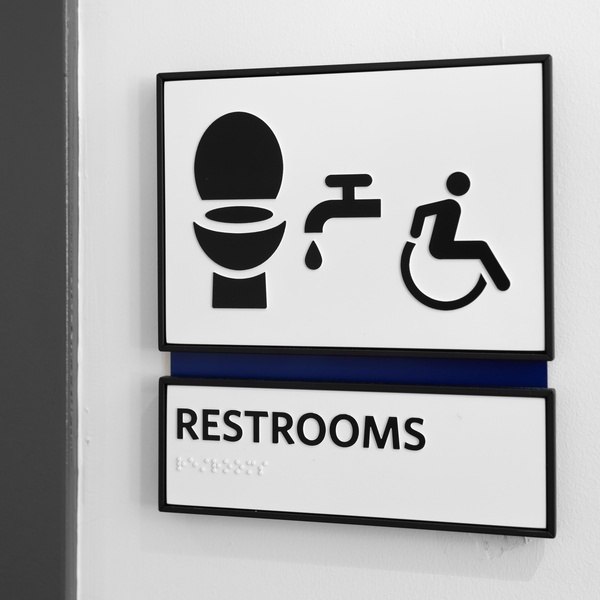 Special attention was given to addressing gender: a non-gendered set of symbols are used for the building’s “gender inclusive” restrooms. 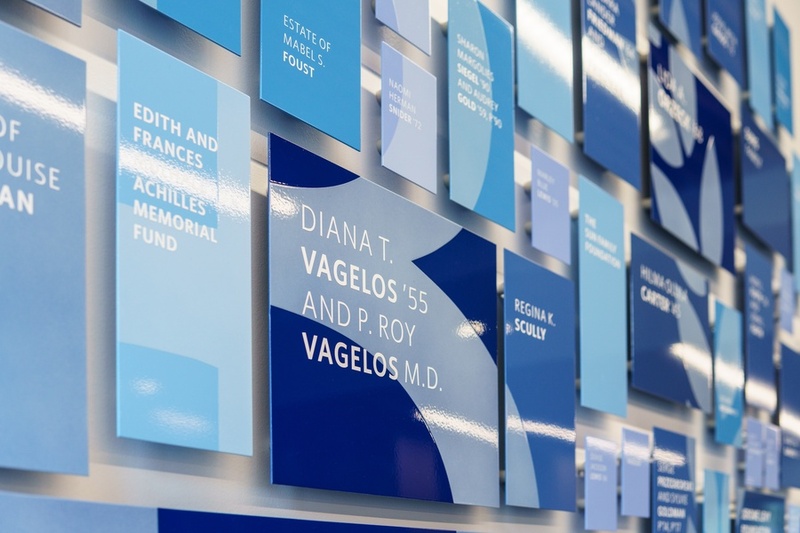 The lobby of the Center, used for reception, study, and convocation, is foregrounded with a visually striking donor wall. 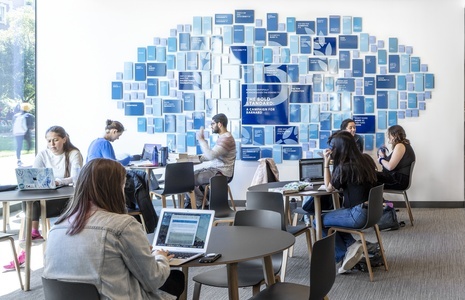 The display is a flurry of panels of varying shapes, sizes and hues of blue that coalesce into the Barnard College seal, each panel thanking a particular donor who has helped make the building possible. 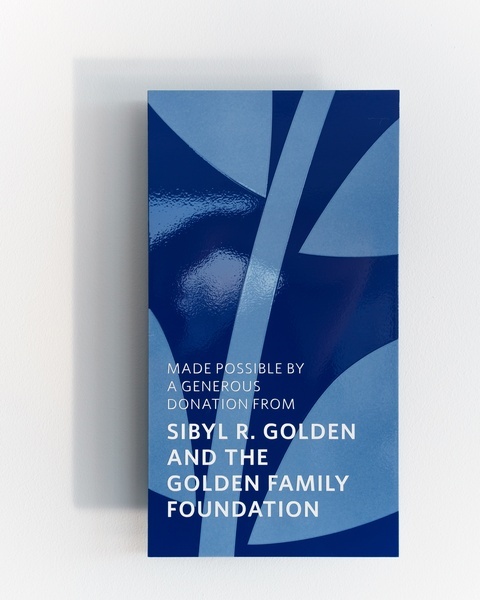 The donor wall serves as an artwork, with thin panels posted off the wall in a single continuous plane to create an attractive organic whole.